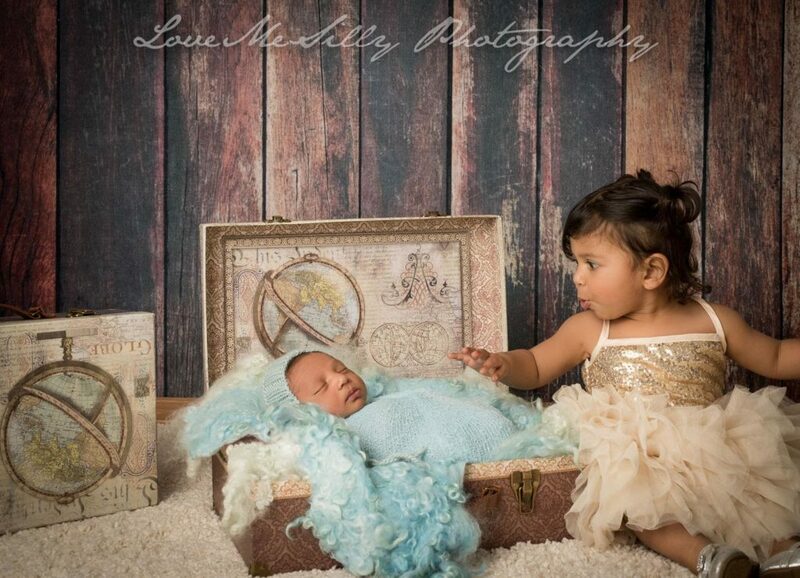 We feel so blessed, another amazing family is back with baby #2 after 18 month and to our new studio in Granada Hills. Congratulations Manavi, Sid and Big sister maya. We are so happy to be part of our lives to capture this beautiful new addition. Baby Arie was a trooper, we are not going to lie! Newborn Gold Session with a toddler can get a bit wild. Kudos to mom and dad for keeping everything under control and bringing Maya favorite snacks… Let’s say Raisins saved the day!!! We are sure Arie was not all the way convinced about this Los Angeles Baby Photographer taking pictures of him but some breastfeeding convinced him enough to pose like a model. Maya on the other hand, even though she was not trying, stole the show with her cute smiles and sweet face. Wait until you see Arie and big sister Maya Pictures together, they will melt your heart!